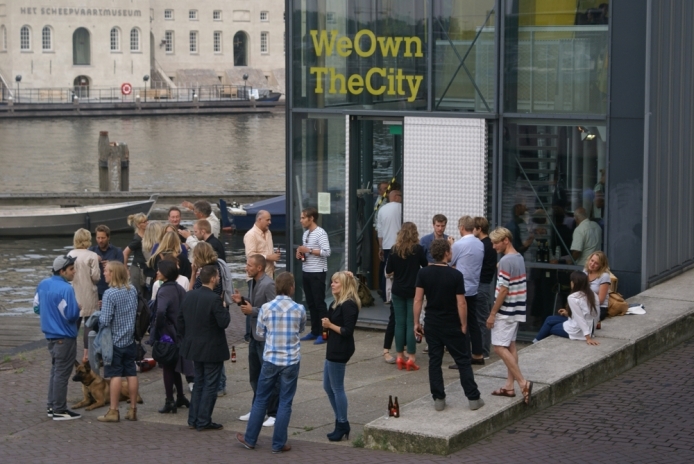 WeOwnTheCity was an exhibition at Amsterdam Architecture Centre (ARCAM) in Autumn 2012. 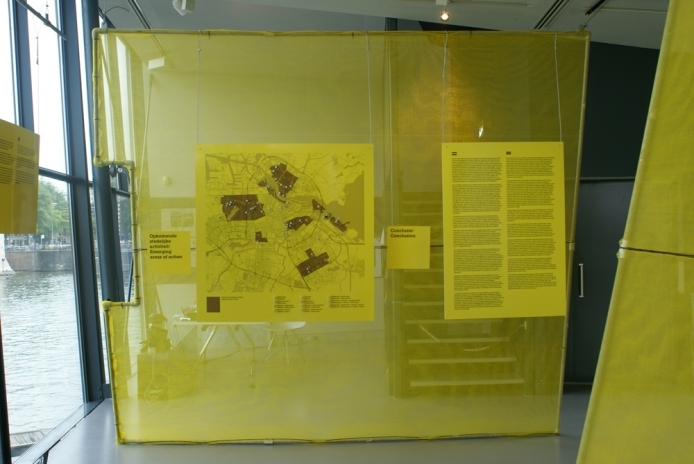 It was developed to showcase research undertaken by the architecture team and CITIES, an urban research collective and small publisher (http://citiesthemagazine.com). The research itself is about bottom-up initiatives. These are usually ventures that are started by people and groups within the community. In a sense they are the opposite of top-down initiatives – ventures which are started usually by corporations or local government. 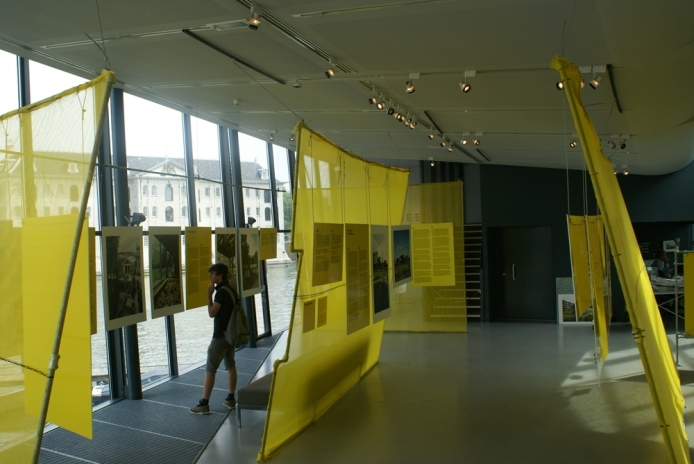 The structure of the the exhibition is based around a series of steel frames over which bright yellow debris netting has been stretched. 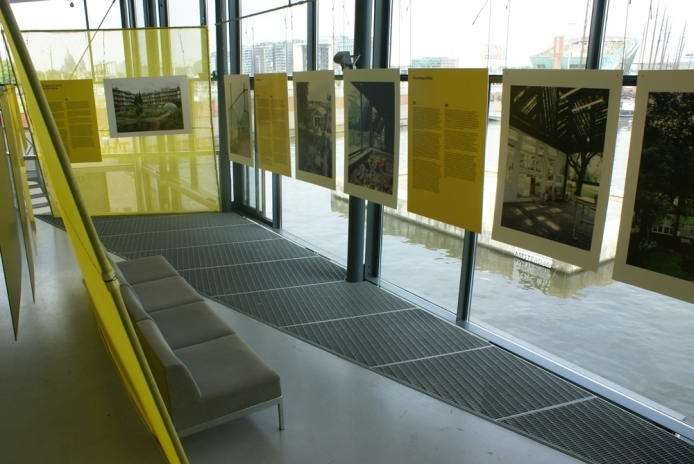 These bright, semi-transparent walls helped divide the space and encourage visitors to move through the exhibition in an intended manner. 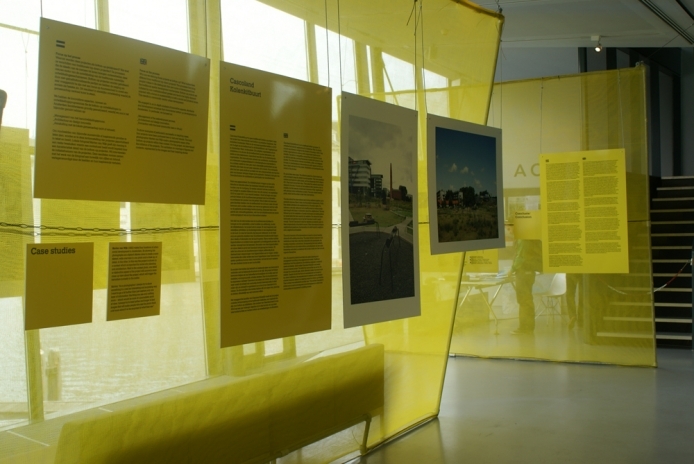 The photographs found in the exhibition were taken by Marten Van Wijk and curated by GUP Magazine. 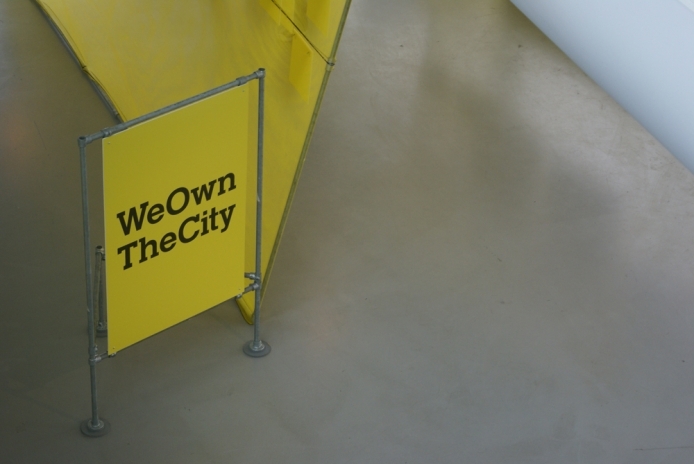 WeOwnTheCity is Studio Knox’s second collaboration with CITIES and ARCAM. 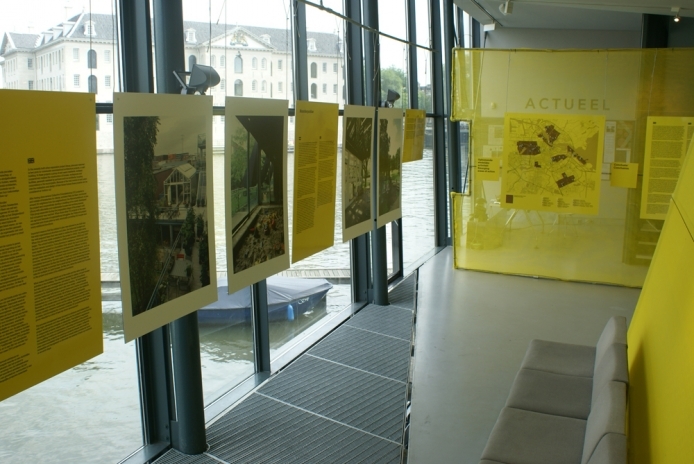 The exhibition is also scheduled to go to Brussels, Marseille and Hong Kong.